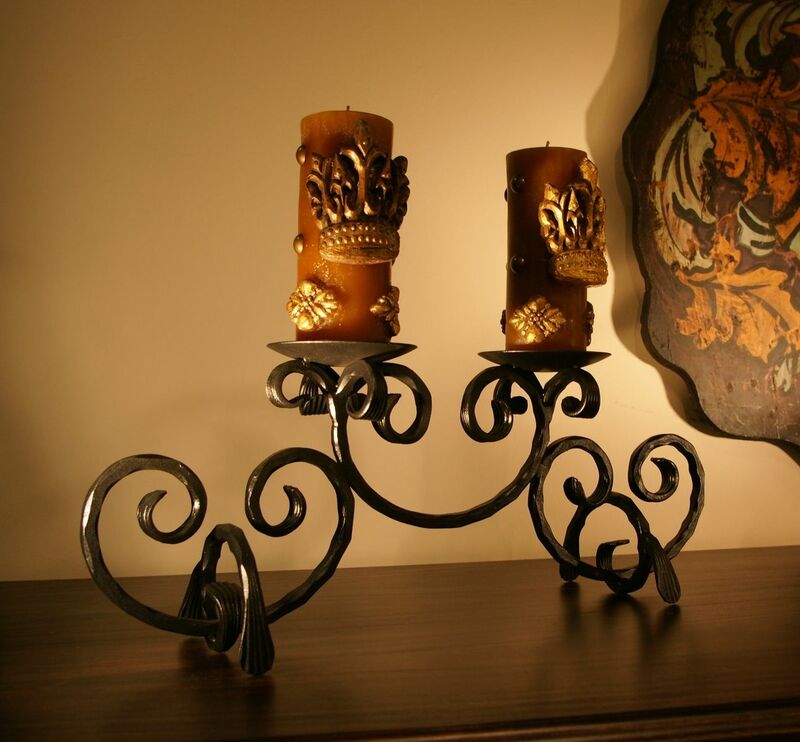 A truly elegant styled piece made of ornate iron scrolls handmade here in America by Fast Lane Customs. 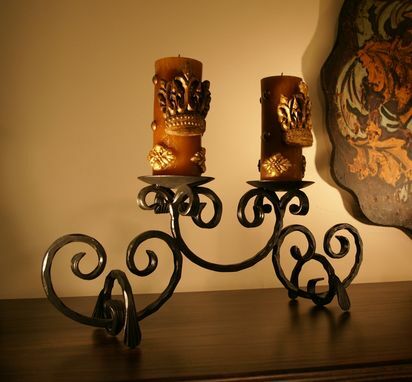 Similar to the single candle holder except has two trays and a slightly different design. A very unique piece that will bring style to any home or office.